Crikey! This game is flippin' tidy, mun! Nowadays, large-scale RPGs seem to be everywhere, and with such a rich choice of games available, it’s hard to discern the classics from the rabble. It can also be easy to exaggerate the quality of the very best in the genre, due to long development processes and the length of the adventures on offer. But if there's anything that prevents even the classics from breaking the mould, it's their unimaginative similarity to one another. 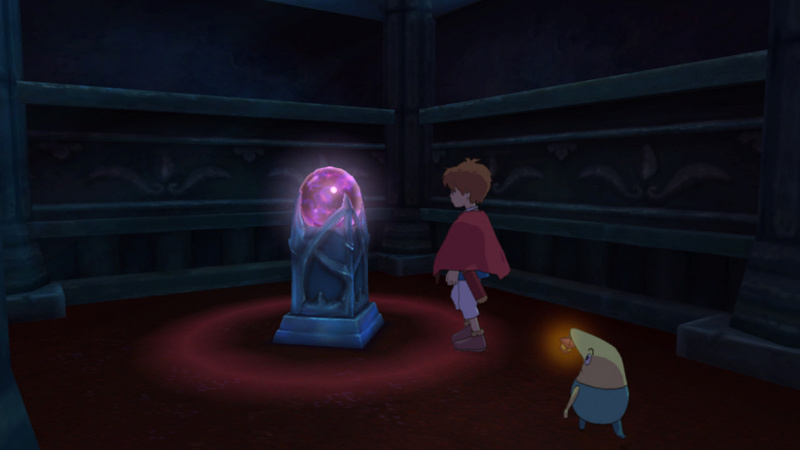 Thankfully, the moment we got our grubby mitts on Ni No Kuni: Wrath of the White Witch, we knew that it was going to be remarkable, and, most importantly, different. The story may not seem that revolutionary at first, but it's certainly an emotional rollercoaster. Our young protagonist Oliver has recently lost his mother in a tragic accident, and must travel to a parallel universe, become a mighty wizard, bring his mother back to life, and save the world, all with the help of his Welsh friend Drippy, Lord High Lord of the Fairies. For the most part you will follow the main story quest, acquiring powerful wands, travelling from region to region, battling boss monsters, and generally readying yourself for combat with the infamous Shadar. All of this will easily last you around 40 hours if you don’t get side-tracked, but why would you want to miss out on all of the other excellent content? 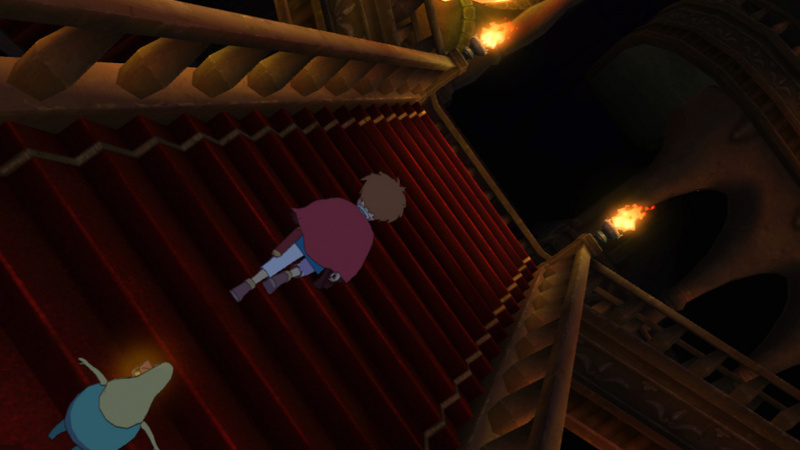 There is simply so much to do in Ni No Kuni. Aside from wandering around the vast and beautiful overworld, you can also complete side-quests, experiment with alchemy, cure the broken-hearted, unlock every chest, and solve Horace’s riddles, clocking up to around 60 hours of gameplay in total. 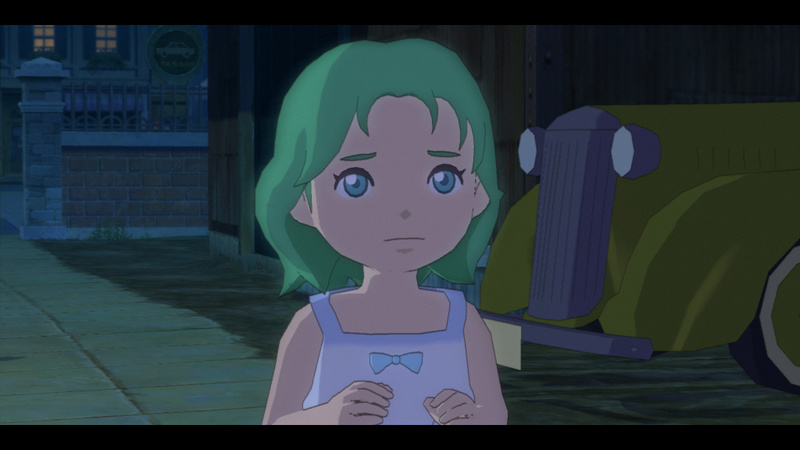 Visually, Ni No Kuni is astounding. The expansive watercolour style overworld omits a lovely dreamy glow, whereas each town oozes charm. Every location is completely different to the last, from the sweltering, Arabian sunshine of Al Mamoon to the frosty snow-capped wonderland of Yule. As soon as you acquire a ship in Castaway Cove, the whole map seems to open up and tempt you with distant regions just waiting to be explored. You experience this amazing liberating sensation again when you first ride on the back of your dragon Tengri, and suddenly those distant islands don’t seem so remote. The gorgeous anime cut-scenes, which surprise you every now again, feel very much at home on the PlayStation 3, looking sharp and magnificent in HD. The animations and character design are also spectacular. Drippy has to be one of the most expressive and humorous in-game companions the RPG genre has ever been graced with. The excellent pun-filled script and wonderful Welsh voice-over only adds even greater depth to the absurdly brilliant character, and will have you shouting “Crikey!” and “Knickers!” at every given opportunity. While the same can’t always be said about Oliver’s comparatively stiff companions Esther and Swaine, on the whole each inhabitant of both the 1950s-esque Motorville and the Other World are carefully crafted, especially the other fairies who reside in the Fairyground. We even found ourselves growing strong attachments to random NPCs such as the travelling couple, who you encounter on numerous occasions throughout your quest. There is such amazing attention to detail when it comes to animation, and far too many small quirks to name, but even Drippy’s happy dance as he walks behind you or his occasional tumble will be enough to affix a permanent smile to your face. For the most part you will be battling multitudes of creatures on your journey, and if you’re sensible, actively walking up to these foes in order to grind to higher levels. The combat is a bit of a mixed bag. Many will absolutely love its energetic yet tactical nature, while others will be confused and fed up with the whole foray. The battle system has your character physically running around the field to avoid attacks, and then selecting elemental based spells or moves to deal out damage in a strategic and timer-based fashion. You can also befriend and command your own creatures, known as familiars, to level up and use in battle. Each has a special skill set, weapon, shield, and item slot to upgrade, and like Pokémon you can evolve or ‘metamorphose’ your familiar in stages to increase its stats and change its appearance. It's worth noting, however, that there is no real need to befriend lots of different types of familiars. Your starter team is already pretty diverse and will be a great deal stronger than any extras that you add to your party, as you do not receive the item that allows you to befriend wild creatures until quite a few hours into the game. You may wish to pick up a fire type familiar whilst you’re in the sizzling region of Old Smokey to help you with battles later on in the Ice region to the West, but it’s not essential. Some may argue that Oliver’s adventure is slow-paced, as you will have to walk everywhere before you receive the Travel spell in the industrial city of Hamelin or unlock the dragon, which is around 16-18 hours in. There are also no warp zones until you finish the main quest in Hamelin, and you will only acquire the spell for warping out of dungeons after you have already completed half of them. Another 'pacing grumble' is that when Esther first joins your party she is – on the whole – pretty useless. She can’t defend herself, attempts to actively ruin every battle by stealing health and magic orbs even when her gauges are full, and, worst of all, often grabs the golden orbs to unleash her lousy special attack, causing boss battles to unnecessarily drag on. But after many hours of towing her along, her health assist powers can be pretty handy, and if nothing else you can just use her as a meat-shield. 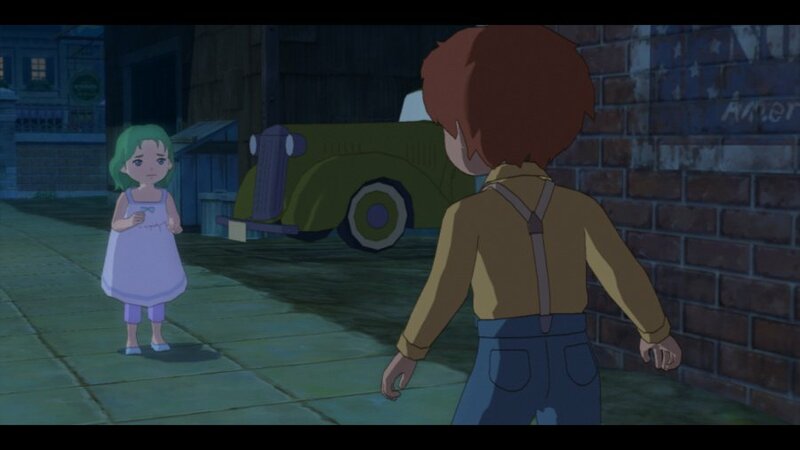 The music in Ni No Kuni is fantastic. Performed by the Tokyo Philharmonic Orchestra and composed by Studio Ghibli’s Joe Hisaishi, the soundtrack is an astounding accompaniment to the game, loaded with emotion. The overworld has an epic and moving theme, which motivates you to struggle on across the arid desert. The opening track, which features prominently in the game's start menu, is called Kokoro no Kakera (“Pieces of a Broken Heart”) and is sung by a young choirboy in the English version, portraying the perfect balance of innocence and determination present throughout the story. Each town has a distinct and catchy theme song too, which helps fully immerse you into the story, and of course every boss battle has a suitably imposing backing track. 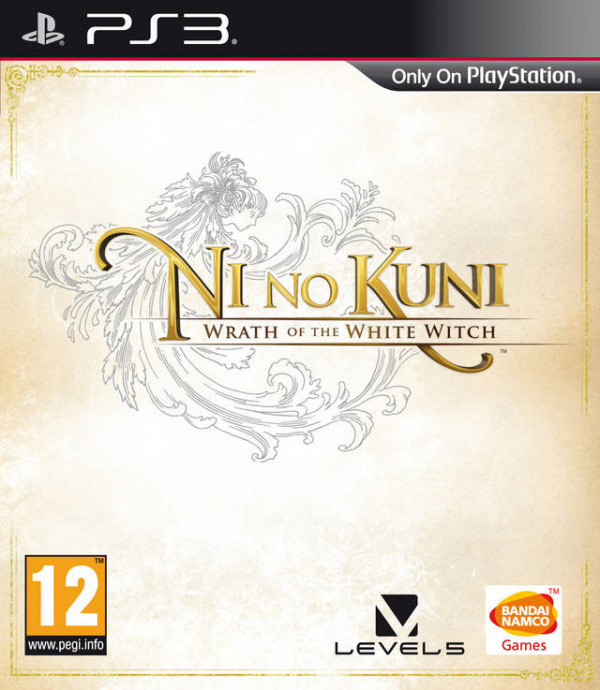 Ni No Kuni: Wrath of the White Witch is a masterpiece, lovingly crafted by both teams at Level-5 and Studio Ghibli. It's bursting with so much character, humour, strength, and sorrow that it's impossible to put down. The lively animation and whimsical design is flawless, with memorable characters that will stay with you throughout your entire gaming career. The narrative may not seem particularly groundbreaking at first, but this is an adventure that's unlike any other. Ohohohoho we've been waiting for this one. Sounds like it didn't disappoint! It's all kinds of awesome. I would thoroughly recommend it Had such a blast reviewing it! @ZeD I wish I could have given it a 10/10 but unfortunately there were a few tiny niggles which stopped us. It is a definite must-buy though, 9s are no mean feat! I'm not interested in this game, but I will say, after trying the demo, that it has one of the most beautiful overworld maps. Great review. This looks like a culmination of perfect. Can't wait to check it out. This game is beautiful, I'm sad not owning a PS3 right now. Not really my kind of game but glad it turned out well for JRPG fans. I do like the art style a lot. Absolutely lovely review Katy! I can't wait for my copy to get here!! @Squiggle55 So do I! Still waiting for a Western release of Time Travelers, Fantasy Life and Professor Layton Vs. Ace Attorney! I'm 4 hours in, and I can already say that for me, this game comes after Ocarina of Time in my favourite games list. I think this game received more critical praise than it deserved. It just might be the most overrated game of 2013. Not saying it's a bad game. This game wasn't even hyped that much. Maybe the money they had for advertising was channeled differently.